Capacity for 1 or 2 people. 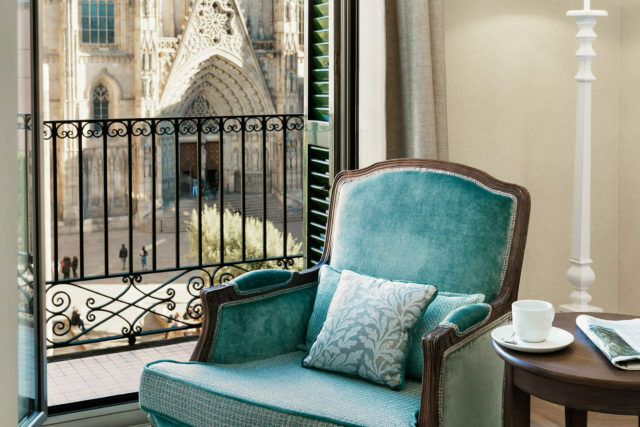 These rooms have the same characteristics as the Design rooms, with the added benefit of spectacular views of the front of Barcelona Cathedral. From here, you can take your first photos of the city from a privileged location, without ever having to leave your hotel.